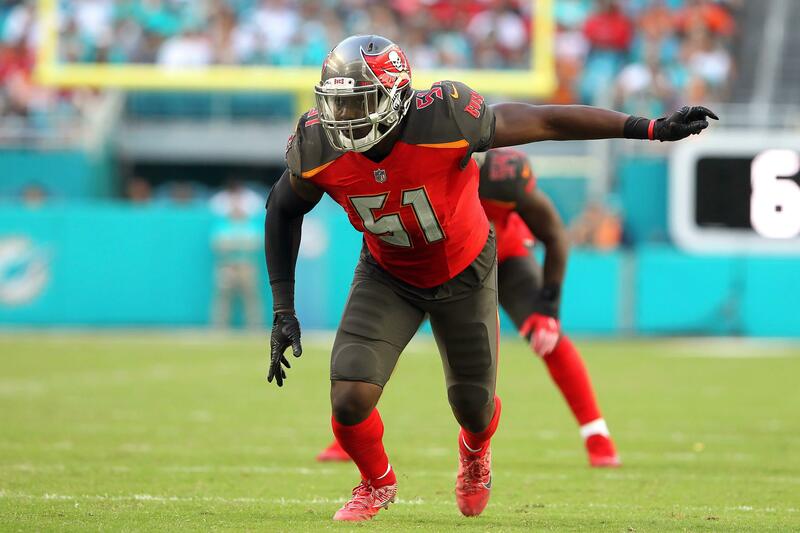 Buccaneers general manager Jason Licht said Beckwith is having an ankle injury suffered in the accident checked by specialists, and it “doesn&apos;t look good for him playing this season,” via Greg Auman of The Athletic. It&apos;s a horrible story, and all due to an accident that could have been avoided. Kendell Beckwith was in a major car accident In April 2018, Beckwith let Lamin Barrow, a former NFL linebacker who went to LSU like Beckwith, drive his Camaro, according to a story from Jenna Laine of ESPN.com last November. Washington Redskins linebacker Reuben Foster will be fined but not suspended for his involvement in an incident that led to misdemeanor domestic violence battery charges that ultimately were dropped, the NFL announced Friday. The league said Foster would be fined two game checks. The charges stemmed from an incident in Tampa on Nov. 24 when Foster was a member of the San Francisco 49ers. Report: Former Patriots DE Adrian Clayborn heading back to Atlanta Falcons originally appeared on nbcsportsboston.com After helping power the Patriots&apos; pass rush to a Super Bowl win in 2018, former Pats defensive end Adrian Clayborn is apparently headed back to the Atlanta Falcons. According to ESPN&apos;s Mike Reiss, Clayborn has agreed to terms with the Falcons, whom he played for from 2015-2017. Clayborn, 30, was drafted in the first round of the 2011 NFL draft by the Tampa Bay Buccaneers, playing for the Bucs for four seasons before heading to Atlanta. The first official April Fool&apos;s Day gag of 2019 has emerged. It involves the Tampa Bay Buccaneers. The team&apos;s official website has posted an item claiming that receiver Mike Evans will become a full-time, two-way player, adding defensive back to his workload. Greg Schiano, hired last month as the New England Patriots defensive coordinator, stepped down Thursday, the team announced. "This is not the result of any one event, but rather a realization that I need to spend more time on my faith and family," Schiano said in a statement. "I respect Coach Schiano greatly and appreciate his contributions to our staff and team," coach Bill Belichick said in a statement. NFL Network&apos;s Lindsay Rhodes catches up with Tampa Bay Buccaneers head coach Bruce Arians to talk about his new team and their 2019 goals. The path for women coaching in the NFL has recently opened up and Tampa Bay Buccaneers head coach Bruce Arians believes it should continue. 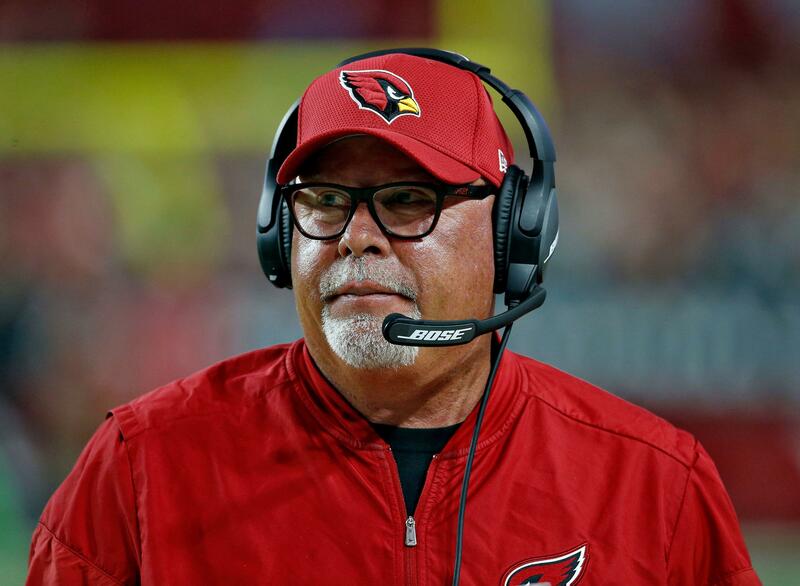 Speaking at the 2019 NFL owners meetings in Phoenix, Arians spoke of looking forward to the day when news of hiring a female coach would no longer be news. “It&apos;s time, and I&apos;ll be happy when it&apos;s not news anymore,” Arians said. One year away from Philadelphia was long enough for defensive end Vinny Curry to become wistful of the city he had to leave behind. According to Dave Zangaro of NBC Sports Philadelphia, Curry said he was “super excited!” to be back with the Eagles after signing a one-year deal with the team on Thursday. “Definitely had a couple different offers on the table, but home is home,” Curry said. Why the hiring of two women by Buccaneers means so much to Katie Sowers originally appeared on nbcsportsbayarea.com 49ers coach Katie Sowers is getting one of her wishes, as the Tampa Bay Buccaneers have become the first team to have two full-time female coaches on their staff. Maral Javadifar will serve as the Buccaneers&apos; assistant strength and conditioning coach, while Lori Locust will be their assistant defensive line coach. They join Sowers as the only full-time female coaches employed in the NFL. Adam Humphries explains how Patriots&apos; free-agent offer had his &apos;mind spinning&apos; originally appeared on nbcsportsboston.com Adam Humphries could have joined the New England Patriots, but he ultimately chose to go in a different direction in NFL free agency. The former Tampa Bay Buccaneers wideout was among the best slot receivers on the free-agent market. The Tennessee Titans made a strong offer that Humphries was comfortable with, but he got a call from the Patriots in the later stages of his decision-making process. You are currently browsing the archives for the Tampa Bay Buccaneers category.